Still undecided on your 2018 Halloween look? Go furry, be a Cabbit. 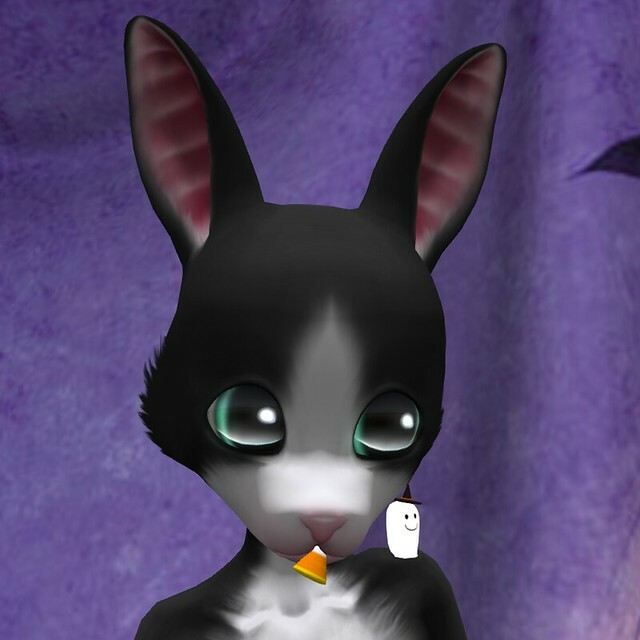 This wonderful mesh avatar can be found in Happy Paws’ marketplace store. It comes in 10 colors with a tail up or down option. To make things even more interesting the UV and shadow textures are included in the packaging allowing for users to create their own truly unique look. Here’s a look from the back at the tail positions. This is Cabbit’s full color range. Such a sweet face! The eyes are especially nice. Thanks Happy Paws for such a sweet gift avatar. We love Cabbit. The Halloween treat bag can also be found in the marketplace. 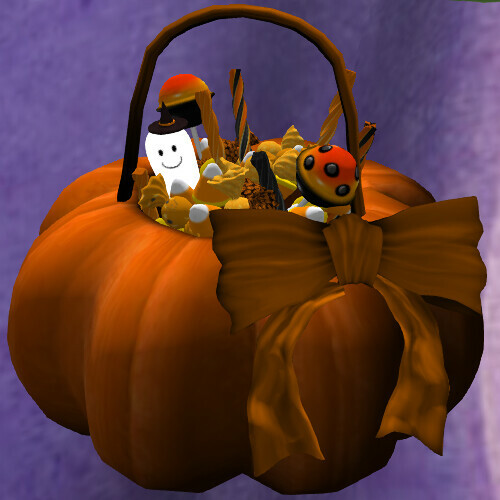 Maiworks has thoughtfully loaded the bag with 8 different treats, 2 poses, and a lovely little ghost shoulder pet.